Boaventura de Sousa Santos is Professor of Sociology, University of Coimbra (Portugal), and Distinguished Legal Scholar at the University of Wisconsin-Madison. He earned an LL.M and J.S.D. from Yale University and holds the Degree of Doctor of Laws, Honoris Causa, by McGill University. He is director of the Center for Social Studies at the University of Coimbra and has written and published widely on the issues of globalization, sociology of law and the state, epistemology, social movements and the World Social Forum. He has been awarded several prizes, most recently the Science and Technology Prize of Mexico, 2010, and the Kalven Jr. Prize of the Law and Society Association, 2011. His most recent project ALICE: Leading Europe to a New Way of Sharing the World Experiences is funded by an Advanced Grant of the European Research Council. The project was initiated in July 2011 and will continue for the next five years. His most recent books in English are: Toward a New Legal Common Sense: Law, Globalization and Emancipation. London: Butterworths, 2002; (editor) Democratizing Democracy. Beyond the Liberal Democratic Canon. London: Verso, 2005; (co-editor, with Cesar Rodriguez-Gavarito) Law and Globalization from Below: Towards a Cosmopolitan Legality. Cambridge: Cambridge University Press, 2005; The Rise of the Global Left: The World Social Forum and Beyond. London: Zed Books, 2006; Another Production is Possible: Beyond the Capitalist Canon. London: Verso, 2006; Another Knowledge is Possible: Beyond Northern Epistemologies. London: Verso 2007; Cognitive Justice in a Global World: Prudent Knowledges for a Decent Life. Lanham: Lexington Books, 2007; Voices of the World. London: Verso 2010; Epistemologies of the South: Justice against Epistemicide (Paradigm Publishers, 2014); If God Were a Human Rights Activist (Stanford University Press, 2015, forthcoming). Camille de Toledo lives in Berlin. 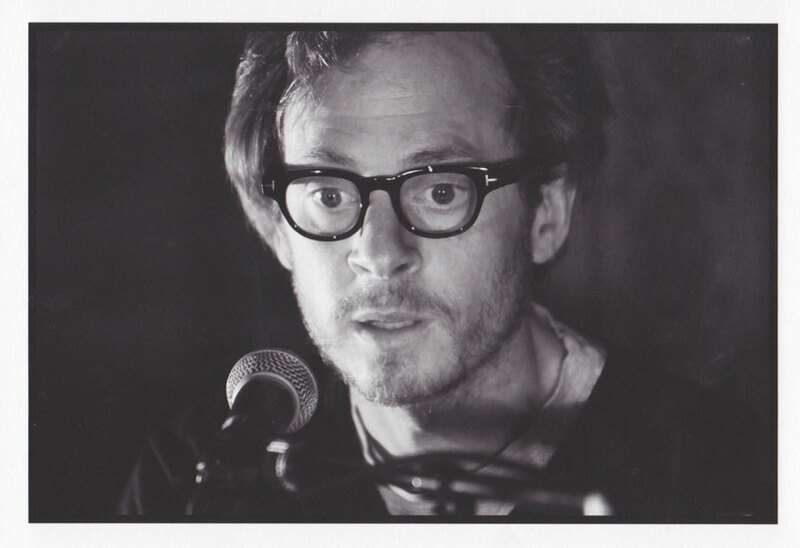 In 2004 he obtained a grant from the Villa Medici in both categories “cinema” and “literature”. In 2005, he began writing Strates: une archéologie fictionnelle, in which the theme of “vertigo” appeared for the first time. In spring 2008, he founded the European Society of Authors, designed as an “institutional fiction”. In 2010 he took up residence at the Glass Menagerie. His installation, “Hantologie-s: une residence surveillée” resulted in his eviction. In March 2010, his novel, Vies pøtentielles was published at Editions du Seuil. In 2013 he signed the libretto and the video of the opera The Fall of Fukuyama presented at Salle Pleyel. In 2014 in Berlin, he presented “Secession”. With the entity Mittel-Europa, he is currently working on several pieces and narratives, including: “The Potential Exhibition”, “History Reloaded”, and a multidimensional utopia entitled “Eutopia: the Country Where Translation is the Language”, under the name CHTO. The Puno Museum of Contemporary Art was created in 2007 as a response to the absence of a museum of contemporary art in Peru at that time. It departs from the premise that in order to create a model of museum that responds to the reality of a place of extreme economical, social and cultural differences like Peru, it needs to depart from the existing resources or lack of them, to create a model that embodies the same reality rather than imposing an artificial one. Puno MoCA stands as an alternative to the traditional model of museum at different levels including the exhibition space, relationships between viewer and the host, who beyond benefiting from being part of the experience of having art works displayed in their homes, sees in it the much more mundane but concrete purpose of having their homes improved. 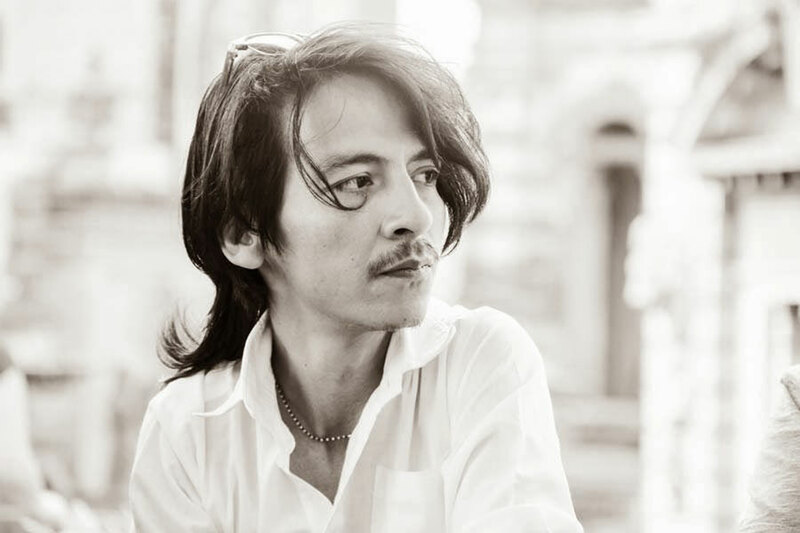 Cesar Cornejo has received awards from the Creative Capital Foundation, Lower Manhattan Cultural Council, The British Council and the Ministry of Education of Japan among others. He has exhibited and completed public projects in South America, Asia, Europe and the US. His work has been included in exhibitions like V Bienal el Barro, Venezuela, S-Files Museo del Barrio, NY, Busan Biennial in South Korea and Art Positions at Art Basel Miami 2011. His work will also be included in the Havana Biennial 2015 and the In+Out 2015 pilot project for the Poznan Biennial in Poland. He received a PhD in Fine Arts from the Tokyo University of the Arts and a license in Architecture from the Ricardo Palma University in Lima Peru. He is associate professor of art at the University of South Florida in Tampa. 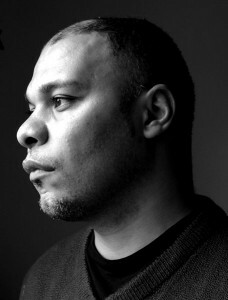 Charles Esche (1962) is a curator, director, writer and Afterall publisher. 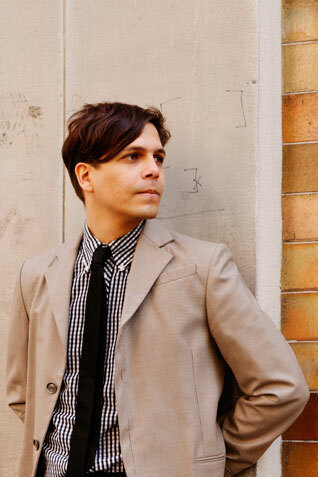 In April 2014, he was awarded Bard College’s Audrey Irmas Award for Curatorial Excellence. The prize honors multiple things including Esche’s endless commitment to rethinking what art can do and redefining what it can be. He currently directs the Van Abbemuseum in Eindhoven, and over the past two decades has been involved in exhibitions as:Strange and Close at CAPC, Bordeaux (2011); An Idea for Living at the U3 Slovene Triennale (2011);the 2nd and 3rd RIWAQ Biennials in Ramallah, Palestine (2007/2009); the 9th International Istanbul Biennial (2005); and the 4thGwangju Biennale, Republic of Korea (2002). 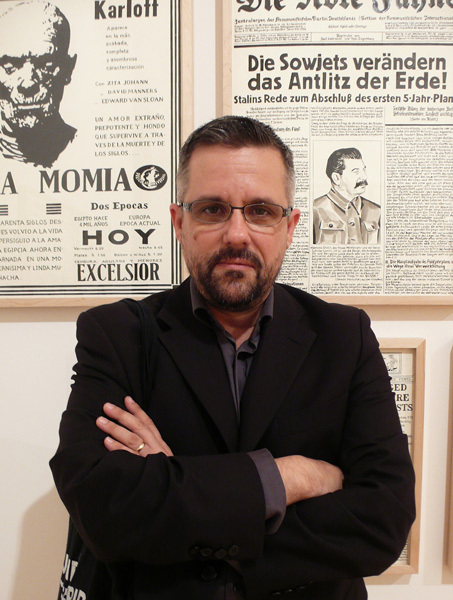 He curated the 31st Sao Paulo Bienale which opened in the fall of 2014. David Ruffel is a teacher, independent researcher, and editor at the Editions Verdier (France). He republished “L’Hôpital”by Ahmed Bouanani (2012) and co-directed with Kenza Sefrioui the collective “Casablanca oeuvre ouverte” (Editions Le Fennec, 2012). He is the Artistic Director of the Ecole de littérature et de la manifestation MASNAÂ CREATION CRITIQUE, in collaboration with Meryem Jazouli, Hassan Darsi, Florence Darsi, Léa Morin, Corinne Troisi, La Source du Lion, and the Espace Darja. Autodidact artist. His work active and confront the public space, the limit spaces and the action spaces of the contemporary art. His work have been shown in Sala de Arte Publico Siqueiros; Museum of Art Queretaro; Oaxaca Contemporary Art Museum; Museo Marte, El Salvador; Museum of contemporary Art and Desing, Costa Rica; Plataforma, Bogota; Lugar a dudas, Cali; Art Museum, Puerto Rico; among others. He made an artistic residency at Plataforma Bogota in 2012. He won the FONCA fellowship in 2012-2013 and 2010-2011. He was jury of the Video Festival “Inquieta Imagen 2011” in MADC, Costa Rica; also in Del Plano al Cubo, organized concourse by Cultural Office of España in Mexico in 2011 among others. Why do we speak of a “topology” of critical fiction? If every fiction might appear as a knot in space, it might be possible to map some of these places invented by artists in resonance with critical debate. In this proposition we will discuss the possibility of morphology of fiction with the ambition to think it anew, borrowing concepts from other disciplines. Could an installation thus invite us to go beyond the museum space? This gesture as a critical operation would alter the “topos” of the exhibition. I propose a retroactive reading of the installation Mission/Missions, created in 1986 by Cildo Meirles, installed as part of the exhibition Les Magiciens de la Terre; it would even be possible to create a critical fiction of this work, regarding the 2500 bovine tibias, 700 communion wafers, and 60 000 coins in the light of the sub-title which is an allusion to the art of constructing cathedrals. Eduardo Jorge has completed his PhD on the textures of animality in literature and visual arts in cotutelle between the École Normale Supérieure (ENS) in Paris and the department theory of literature ot the Federal University of Minas Gerais (UFMG) under the supervision of Dominique Lestel and Maria Ester Maciel. He currently pursues a research project “A people without maps, maps without a people (Images and forces of the earth)” at the Institute for Language Studies (IEL) of de University of Campinas – (Unicamp/FAPESP) at São Paulo, in Brazil. This presentation is based on the project Zero Gravity Revolt (2012), which designed a speculative museum of the future. Based on the rare texts from the 1930s Soviet science fiction, the history displayed and narrated in this museum follows the example of a classical dystopia applied to today’s concerns. It starts with a diplomatic agreement organizing the colonisation of the Solar System, and finishes with the end of the Anthropocene world. This presentation, entitled (Science) Fictional Universalism, is an exhibition of the exhibition, a “narrated show”, reinterpreting the events which constituted the original project. Every exhibition opens more questions than it can answer, and this presentation will focus on issues which remained marginal in the original exhibition: politics and geography of the sci-fi of this particular period and region, and the very early ideas of “mobility”, “spatial precarity” as well as 1930s obsession with the ideas of the “universal modernity”. 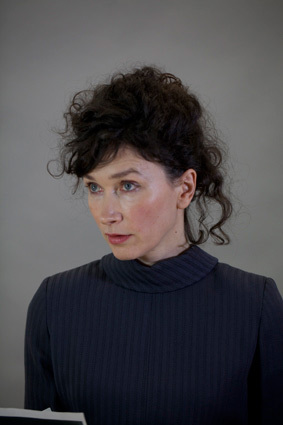 Elena Sorokina is a Russian-born, Paris based curator and art historian, alumna of the Whitney Museum of American Art ISP in New York. She obtained her masters degree in art history from the Friedrich Wilhelm’s University in Bonn, Germany. She recently co-organized “Spaces of Exception” a special project for the Moscow Biennial, the symposium “What is a postcolonial exhibition?”, a collaborative project of SMBA/Stedelijk Museum Amsterdam and the Stedelijk Museum. Her recent exhibitions include (selection): “Temps Trituré. Agnes Varda” at LVMH in Brussels, “Petroliana” at Moscow Museum of Modern Art; “Laws of Relativity” at the Fondazione Sandretto Re Rebaudengo, Turin; “On Traders’ Dilemmas” at Yerba Buena Center for the Arts, San Francisco; “Scènes Centrales” at Tri Postal, Lille; “Etats de l’Artifice” at the Musee d’Art Moderne de la Ville de Paris, and others. She published in numerous catalogs, and has been writing for Artforum, Flash Art, Cabinett Magazine, Manifesta Journal, Moscow Art Magazine, and other publications. Sorokina is a frequent speaker in international conferences and has been invited as guest lecturer to ISCP, New York; Garage CCC, Moscow; Centre Pompidou, Paris, and other institutions. In France, Magiciens de la Terre is a legendary exhibition whose protracted overexposure (Beaubourg, 2014) obscures its French complexity. Despite the disruptions it effected, the exhibition was designed by its curator Jean-Hubert Martin without integrating postcolonial criticism. A number of observers even rejoiced (Michel Nuridsany), in a chauvinistic impulse, that France had regained its ability to produce an event “in the great universalist tradition of yesteryear”. As Jean-Marc Poinsot emphasized (in Making Art Global, part 2, Magiciens de la Terre, 1989 Afterall, 2013), while in 1989 post-colonial struggles had already gone international for several decades, the gap between international work and awareness of it in France was abysmal. France’s very selective “forgetting” of the past, which came out regularly “embellished” according to political realignments, blinded it to certain social transformations (Marche de l’égalité in 1983) – to such an extent that France had to wait several more years before the first quality work on slavery, the colonial period, postcolonial issues, the study of the links between the development of ethnographic collections and colonization, the reconquest of pasts and the restitution of other conceptual divisions of the world, was developed in the writings of French authors. New projects must now be undertaken to go back on the context that allowed the emergence of Magiciens de la Terre, to understand the structural paradigms of the the French art scene and examine their blind spots. Hannah Feldman’s recent work, From a Nation Torn – Decolonizing Art and Representation in France 1945-1962 (Duke University Press, 2014) contributes to that project. It offers, in an essential first revision, to revisit the history of French modernism whose emergence Feldman places during the Second World War, and not later. Emphasizing the historical circumstances that shaped its production and reception in decades throughout which France waged a long series of wars to maintain its colonial empire, Feldman also points out the effects of decolonization, both political and aesthetic, on art and theories of representation. 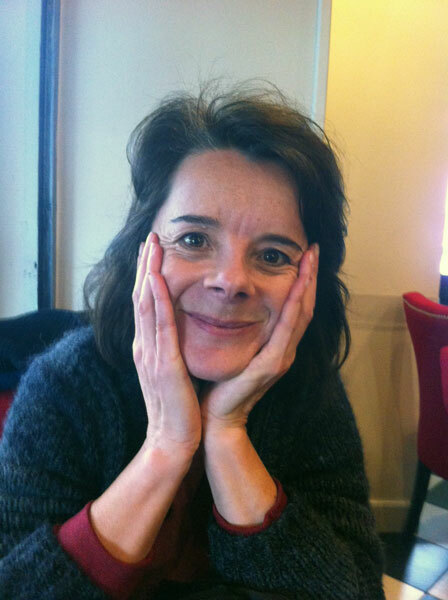 Emmanuelle Chérel is a habilitated doctor in History of Contemporary Art, member of the Langages, actions urbaines et altérités research lab at the Ecole Nationale d’Architecture of Nantes. Working on the political dimensions of art, she has written numerous texts (for Mouvements, Black Camera, Multitudes, etc.) and published Le Mémorial de l’abolition de l’esclavage de Nantes – Enjeux et controverses (PUR, 2012). At the Ecole supérieure des Beaux-arts in Nantes, she has been since 2008 at the head of the research project Pensées archipéliques working around postcolonial and decolonial theories. She is a member of the group Ruser l’image and is currently co-directing with Fabienne Dumont the book “Histoire de l’art et postcolonialité en France : quels enjeux ?” (PUR). Estefanía Peñafiel Loaiza was born in Quito, Ecuador in 1978 and has been living in Paris since 2002. A graduate of the Ecole Nationale Supérieure des Beaux Arts de Paris, she has participated in post-graduate programs, residences and workshops and exhibits regularly in France and abroad. She works with various mediums and languages, among the themes that run through her works are a particular interest in history and travel, as well as a constant exploration of the tensions between the visible and the invisible, appearance and disappearance, the word and the gaze. The notion of forgetting – groups, minorities, territories, stories – is a political constant. It is used to articulate the critique of marginalization and ask for its disappearance. Forgetting is the result of a certain idea of the nation-state (democratic or not) and a necessity of capital. The crisscrossing dynamics of both necessities produces a cartography of spaces that are either plunged into oblivion (forgotten) because they no longer produce desired goods or hold coveted resources, or conversely, that are identified as areas deserving of interest and investment. However, no territory is ever completely forgotten, if only because it remains a secondary market useful for dumping consumer goods. The strategy of the undermined has been, and still is, to refuse to be forgotten, to require the inclusion of forgotten chapters of history, ignored representations and marginalized narratives. This legitimate strategy produces power struggles that lead to changes in perspective and writing. It is therefore necessary to continue. In this paper, however, we wish to question the notion of forgetting. If the operation of the nation-state and capital seem to “forget” certain territories and therefore their inhabitants, resulting in their marginalization and impoverishment, is the notion of forgetting the most relevant? What exactly is being forgotten? For psychoanalysis, the subject forgets knowingly albeit unconsciously. It is there but we do not want to see it. We would also like to propose a strategy that would start with forgotten spaces and try to recreate them by bypassing the master narrative and without seeking to complete it. Françoise Vergès currently holds the “Global South(s)” chair at the College of Global Studies, Paris, and is consulting professor at Goldsmiths College, London. She has published numerous books and articles in French and English. 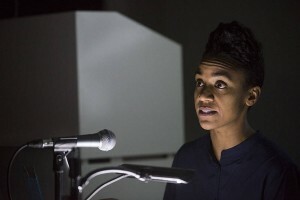 Her recent publications include: “A Sound Like a Rumour” in Kader Attia, RepaiR, Paris, 2014; Les Armes miraculeuses, Paris, 2014; Exposer l’esclavage: méthodologies et pratiques, Paris: 2013. Equally an author of films, she has also organized guided tours at the Louvre (« L’Esclave au Louvre : une humanité Invisible », 2012-2013), and the exhibitions “Dix femmes puissantes “ (2013) and “Haïti, effroi des oppresseurs, espoir des opprimés” (2014) in Nantes, as well as performances at the Palais de Tokyo around Thomas Hirshhorn’s “ Flame éternelle”. 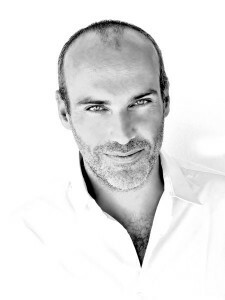 Gustavo Buntinx, is a curator, an art historian and author of the book E.P.S. Huayco. Documentos (Lima, Centro Cultural de España, 2005). Born in Buenos Aires and resident in Lima for many years, Gustavo Buntinx was director of the Museo de Arte Italiano in Lima, the Museo de Arte de San Marcos, the Cultural Centre of the National University of San Marcos in Lima and leads the Micromuseum project, a museum-archive initiative set around different meanings of the term “micro”, in the sense of small, transportable, public and nomadic. He is the author of numerous works on Latin American visual arts and forms part of the Colectivo Sociedad Civil (Civil Society Collective), active participants in the social movement that contributed so much to the (cultural) fall of the dictator Alberto Fujimori in the year 2000. He was teaching in the Universidad de San Marcos (Unmsm), Lima, University of Buenos Aires (UBA), Universidad Nacional Autónoma de México (Unam) and University of Sao Paulo (USP). His writings and curatorial projects were presented in peruvian entities (Museo de Arte de Lima, Instituto Cultural Peruano Norteamericano, Bienal de Trujillo, notably) and international entities (MIT Press, Museo de Arte Contemporáneo de Monterrey, Museo Real de Bélgica, International Center for Visual Arts de Londres, Museo Extremeño e Iberoamericano de Arte Contemporáneo in Badajoz, New Museum in Nueva York, Museo de Arte Latinoamericano in Buenos Aires, notably). Les Magiciens de la Terre avaient permis en 1989 l’émergence d’une nouvelle cartographie des subjectivités et de leurs expressions. En faisant un pas de côté, il s’agira de considérer les grandes lignes d’une histoire qui a permis la formation de ce nouveau paysage et qui a couru sur les soixante dernières années : celle des mouvements féministes. En traçant une rapide tératologie cognitive et féministe, il s’agira de voir quels sont les monstres, ces figures du négatif, depuis lesquels penser aujourd’hui. Ida Soulard is an art historian and she currently works as co-director for Fieldwork: Marfa, an international research program run by les beaux-arts de Nantes and HEAD-Genève. She cofounded in 2011 a series of seminars and workshops entitled The Matter of Contradiction (2011-2013), currently works on a book cowritten with artist Fabien Giraud, entitled The Marfa Stratum, and is a co-founder of Glass Bead, a research platform and journal to be published in 2015. She currently teaches at the Ecole des Beaux-arts in Nantes. After the famous quarrel of universals which lasted from late antiquity to the Western Middle Ages including the Arab authors, doesn’t the quarrel of our times, which appears under different names – universalism, the universal or even “universals” – reveal itself to be, in the words of Alain de Libera, a genuine “innovation capacitor”? Moreover, are we witnessing a contradictory double movement: if all references to the universal are suspected, not without reason, of particularism, especially of western-centrism, nevertheless all attempts to escape the universal, from preromanticism to decolonialism, still betray a residual quest for the universal or for a universal, even if is a universal that remains to be built. Jean-Claude Moineau is an art theorist who taught art and art theory cutting across traditional disciplinary lines at Université Paris 8. In 2006-2008, he was advisor to the 15th Biennale de Paris. He has authored, among other works, L’Art dans l’indifférence de l’art (Paris, PPT, 2001), Contre l’art global, pour un art sans identité (Paris, è®e 2007) and Retour du futur, L’Art à contre-courant (è®e/Art 21, 2010). Jérôme David is a professor of literature at the University of Geneva. He is the author of Balzac, une éthique de la description (Honoré Champion, 2010). His research interests are comparative history of literature and the social sciences, cultural globalization and global history of literature, aesthetic theory, and didactics of literature. He has published several books: Spectres de Goethe. Les métamorphoses de la «littérature mondiale», Paris, Les prairies ordinaires, 2011 ; Balzac, une éthique de la description, Paris, Honoré Champion, coll. “Romantisme et modernité”, 2010; L’implication de texte. Essais de didactique de la littérature, Presses universitaires de Namur, 2010. The arbitration of globalities. What we commonly refer to as globalization embraces countless processes whose vectors, rhythms and amplitudes are often heterogeneous. In the field of literature, the effective circulation networks of literary works or aesthetics, sometimes highly disparate, is caught up in a constellation of shadowy institutions: contagious dreams of Weltliteratur, hopes of critical alliances, implicit heritages of scattered publics. These often competing, sometimes even incommensurable, globalities are not easily mapped. Indigenous conceptions exceed scholarly syntheses; history dissociates contemporaneities. The pairing of these globalities requires an arbitration that finds its justification in political epistemology. 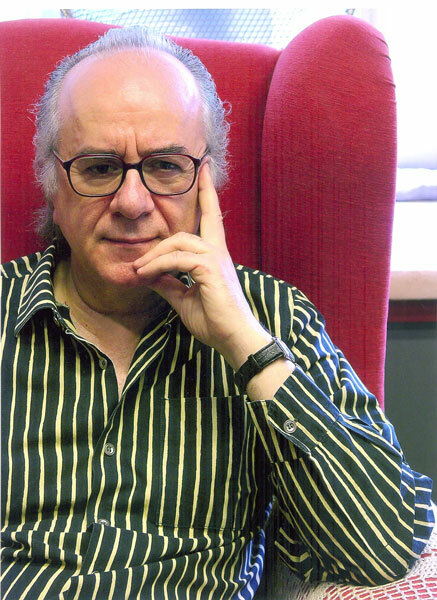 Joaquín Barriendos teaches at Columbia University (Department of Latin American and Iberian Cultures). 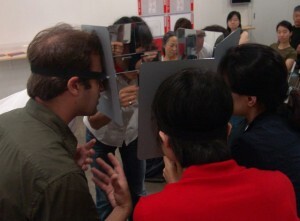 He specializes in Latin American Art Studies, Visual Culture, and Cross-Cultural Museum Studies. In 2010 he was fellow-researcher at the Institute National d’Histoire de l’Art-París (Art et Mondialisation) and in 2009 visiting-researcher in the Program in Museum Studies (New York University). 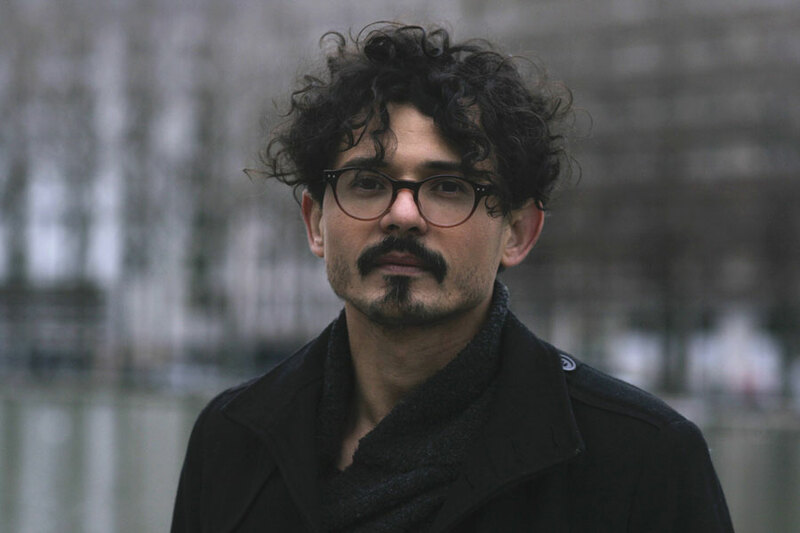 He serves in the Editorial Board of Journal of Visual Culture (SAGE), Revista Hispánica Moderna (Columbia University, N.Y.) and Shift: Graduate Journal of Visual and Material Culture. He founded in 2007 www.culturasvisualesglobales.net, and launched in 2009 a ten-years research project entitled The Rise of Global Art: A Geopolitical View on the International Contemporary Art System (University of Barcelona). He has published extensively on the economic, aesthetic, racial, and epistemic asymmetries that give shape to the so-called global art world. 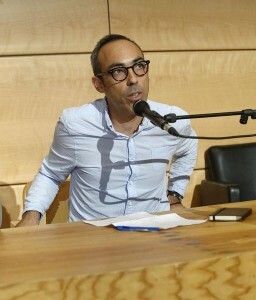 His book Geoestética y Transculturalidad was awarded in 2007 the annual prize on art theory, conferred by the Fundació Espais d’Art Contemporani. In 2011 he co-edited the multi-author book Global Circuits: The Geography of Art and the New Configurations of Critical Thought (ACCA). He collaborates with diverse networks such as Red Conceptualismos del Sur, Visual Culture in Europe, Tristestópicos, and is member of ACCA-International Association of Art Critics. John Peffer is a specialist in modern African art and photography and Associate Professor of Art History at Ramapo College in New Jersey. 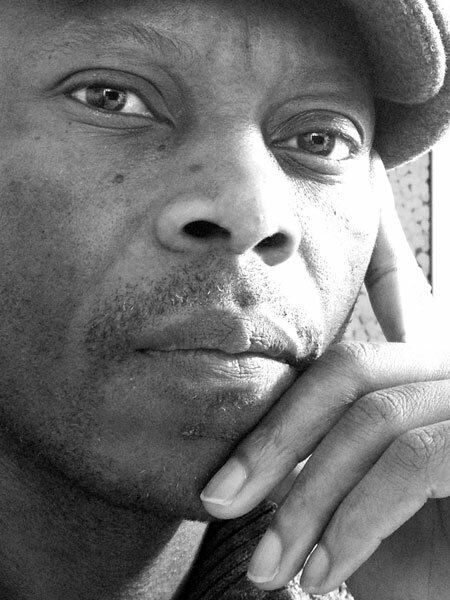 He is Past President of the Arts Council of the African Studies Association (ACASA), the author of Art and the End of Apartheid (2009) and co-editor of Photography and Portraiture in Africa (2013). Dr. Peffer’s research has examined the historiography of African Art History, art and visual culture in South Africa during apartheid, and general issues of global modernity and human rights in art, photography, and visuality. During 2015 he is a visiting professor at the Wits Institute for Social and Economic Research and at the University of Johannesburg while conducting research on popular photography in South Africa. My contribution to the encounter stems from my current project, Canibalia, a research and exhibition which explores the geography -aesthetic, political and colonial- inaugurated by the invention of the cannibal in the 16th century. Further exploring the logic of predation, capture and digestion of the other, it posits a geo-philosophy of perspectives and positions, in which subject, territory and environment reciprocate the plasticity of thought. Thecanibalia is here understood not simply as a geographic emplacement, but as a counter-topia that allow us to puncture, challenge and ultimately expropriate the hegemonic epistemic and visual regime that traditionally framed it. In sum, the project invites to (un)think cannibalism and the cannibal as spaces of dissidence, desire, community, ecology and exchange. Can anthropophagy posit a new logic and vocabulary for an unbounded geo-aesthetic to emerge? 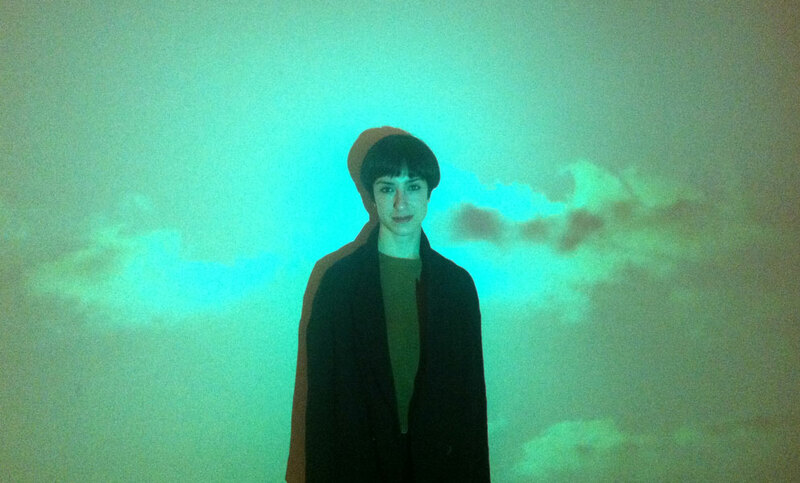 Julia Morandeira Arrizabalaga is an independent curator and researcher. Her practice deals with issues of geography and globalisation, production and exhibition apparatuses in art and culture, and their inscription as sites of knowledge. She is a founding member of Magnetic Declination, an artistic research and production group exploring decolonial imaginaries and production strategies. At the moment she is completing a curatorial residency at Kadist Art Foundation in Paris, where she will present the exhibition project Canibalia in February 2015. 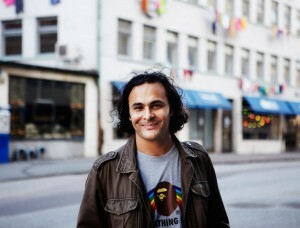 Kader Attia is an Algerian artist, living in Berlin. His work tackles the relations between Western thought and extra-Occidental cultures, particularly through the practice of repairing sacred and profane objects. Recent exhibitions include Contre Nature, a solo show at the Beirut Art Center; Reparatur 5. Acts, a solo show at KW Institute for Contemporary Art, Berlin; Construire, Déconstruire, Reconstruire : Le Corps Utopique, a solo show at Musée d’Art Moderne de la Ville de Paris; dOCUMENTA(13) in Kassel; and Performing Histories (1) at MoMA, New York. Kapwani Kiwanga’s projects are materialized by installations, videos, sound installations and performances. Truth and fiction are intentionally confused in her work to destabilize hegemonic narratives and create spaces in which neglected, renegade and fantastic discourses are allowed to develop. Kapwani Kiwanga studied Comparative Religion and Anthropology at McGill University (Montreal, Canada). She followed the program “La Seine” at the Ecole Nationale Supérieure des Beaux-Arts in Paris and Le Fresnoy, France (Studio National d’Art Contemporain). She was artist in residence at the MU Foundation in Eindhoven, Holland. Twice nominated for BAFTA awards, her films have won several awards at international festivals. She has exhibited internationally, including at the Centre Georges Pompidou (France), the Glasgow Centre of Contemporary Art (UK), the Bienal Internacional de Arte Contemporáneo Almería (Spain), the Kassel Documentary Film Festival (Germany), the Kaleidoscope Arena Rome (Italy), Paris Photo (France), the Ethnographic Museum in Berlin (Germany), the Jeu de Paume (France), Hebbel Am Ufer (Germany), SALT (Turkey), and the Swedish Contemporary Art Foundation (Sweden). The Matinga collection: towards a museum of the invisible. Kapwani Kiwanga presents some key elements from Dr Joy Matinga’s personal collection on immaterial culture and places this collection in dialogue with the correspondences she held with her colleagues around the development of a museum of the invisible. 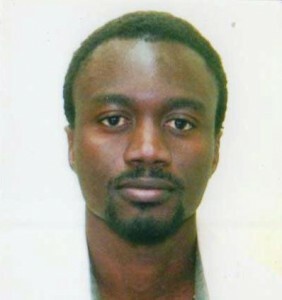 Kiluanji Kia Henda lives and works in Luanda, Angola, and Lisbon, Portugal. This year, his work has been included in the group shows: ‘Tomorrow Was Already Here’, Museo Tamayo, Mexico City; ‘Les Ateliers de Rennes – Biennale of Contemporary Art’, Les Praires, Rennes, France; ‘SuperPower: Africa in Science Fiction’, Arnolfini, Bristol, UK; ‘You Are Now Entering—’, cca Derry-Londonderry, UK; ‘Doublebound Economies’, Halle 14, Leipzig, Germany; and ‘Experimental Station’, Centro de Arte y Creación Industrial LABoral, Gijón, Spain. In 2013, his work will be included in shows at the Calouste Gulbenkian Foundation, Lisbon, the Centre Culturel Gulbenkian, Paris, France, and the Sharjah Art Museum, UAE. “How to conceive of the contemporary?”, “How to write the contemporary?”. Such were the questions that followed the classic “What is the contemporary?”, when it turned out that there would be no unequivocal or definitive answer to that quest – although that didn’t prevent it from spreading to all fields that could be potentially be affected by it: museology, art criticism, media theory, literary, theatre and choreographic studies, history, philosophy, cultural studies, critical theory etc. All fields but also a large number of spaces: from the heart of Euro-American modernity to postcolonial spaces; from Latin American centers to South Asian megacities; from books to magazines, from exhibitions to the canvas. There is no such a thing as a contemporary, but “contemporaries” expressed in a variety of discourses that form a historical mode of the brouhaha. How can one account for this multiplicity, which can sometimes be contradictory? Certainly not by annexing it to a single location that would say “the contemporary is this or that”, but by following the globalized ramifications of the issues of a period, because such a thing as isues of a period does exist. A few transversal ensembles then emerge which have a highly meaningful for a conception of the contemporary: exhibition and public spaces, time and the media, (de)canonization and translation, scenes and controversies, historicity and globality, culture and archeology. Lionel Ruffel is a professor of general and comparative literature at Université Paris 8 and a member of the Institut Universitaire de France. He is currently Leverhulme Visiting Professor at St Andrews University. He is the author of three texts: Brouhaha, les mondes du contemporain (forthcoming, 2015), Le Dénouement (Verdier, 2005), Volodine post-exotique (Cécile Defaut, 2007) ; he has directed or codirected three collective works: A quoi jouons-nous? (Cécile Defaut, 2008),Qu’est-ce que le contemporain? (Cécile Defaut, 2010), Volodine etc. (Classiques Garnier, 2013, with Frédérik Detue) and with Olivia Rosenthal, a journal issue: “La Littérature exposée : les écritures contemporaines hors du livre”, Littérature, n°160 (4/2010). 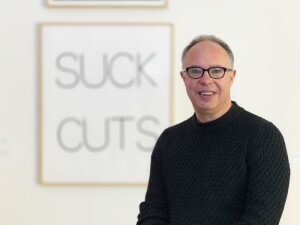 He is also co-director of the collection chaoïd (Verdier editions), former co-director of the magazine of the same name (2000-2007) and founding member of the collective « L’école de littérature ». 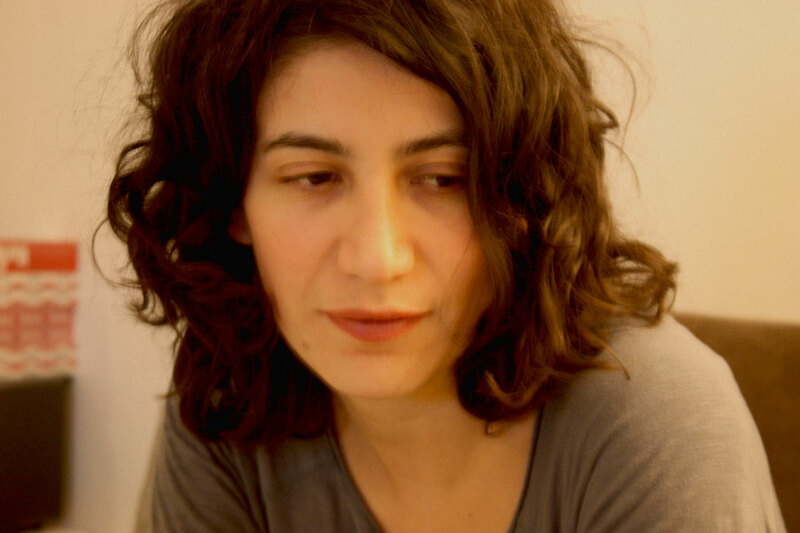 Maria Hlavajova is the founder and artistic director of BAK, basis voor actuele kunst, Utrecht since 2000, and artistic director of FORMER WEST (2008–2016), which she initiated and developed as an international collaborative research, education, publication, and exhibition undertaking. Hlavajova has organized numerous projects at BAK and beyond, including the series Future Vocabularies (2014–2016), New World Academy with artist Jonas Staal (2013–ongoing), and the international research projects The Return of Religion and Other Myths (2008), On Knowledge Production: Practices in Contemporary Art (2006), Concerning War (2005), and Who if not we should at least imagine the future of all this? 7 episodes on (ex)changing Europe (2004), as well as exhibitions with artists such as Josef Dabernig, Sanja Iveković, Aernout Mik, Artur Żmijewski, Lawrence Weiner, and many others. 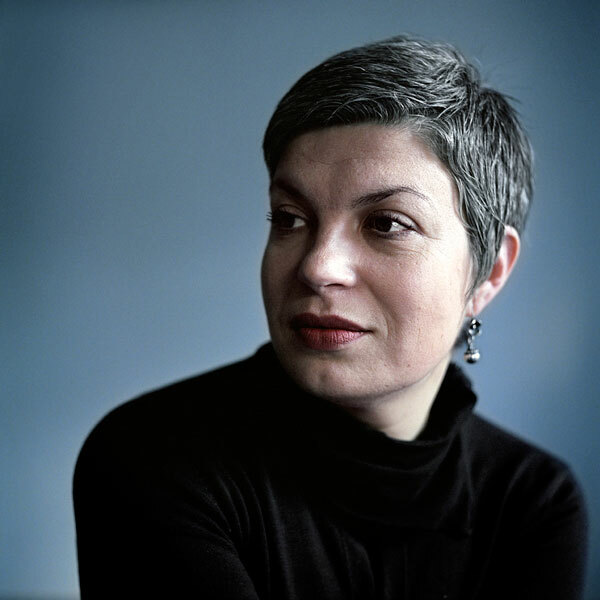 In 2011, Hlavajova organized the Roma Pavilion, titled Call the Witness, within the framework of the 54th Venice Biennale, Venice, and in 2007 she curated the three-part project Citizens and Subjects, the Dutch contribution to the 52nd Venice Biennale. In 2000 she co-curated Manifesta 3, European Biennial of Contemporary Art, titled Borderline Syndrome: Energies of Defence in Ljubljana. 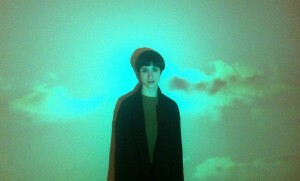 She also edits and contributes to numerous critical readers and catalogs, and lectures frequently on contemporary art. Together with Kathrin Rhomberg, she is a founding director of the tranzit network, a foundation that supports cultural exchange and contemporary art practices in Austria, the Czech Republic, Hungary, Romania, and Slovakia. Hlavajova lives and works in Amsterdam and Utrecht. This intervention deals with Senegalese cultural institutions with respect to an ecology of knowledge on art. Since the 2000s, emerging art centers – connected to discourses on global art – have been drawing new cultural cartographies by means of interdisciplinary approaches that take the form of research, development, and the production of knowledge and archives. However, the institution and the archive held a major place in cultural public policies, whose planning has been democratized since the 1990s. Starting from a constructivist approach, we will seek to understand how the new forms of knowledge conveyed by these art centers gradually submerged old globalizing discursive paradigms inherited from an intellectual history of the 1960s. Malick Ndiaye is an art historian. After a postdoctoral contract at the C.A.P. Labex (CRAL. EHESS/CNRS), he is currently a researcher at IFAN/Cheikh Anta Diop University of Dakar. A graduate from the Institut National du Patrimoine (Museums section) and a former bursar of the Institut National d’Histoire de l’Art, he is a specialist of contemporary art, African heritages and postcolonial studies. He coordinates various scientific activities around these themes, is a frequent collaborator in scientific journals and participates in international conferences. Mathieu Kleyebe Abonnenc seeks to examine the forms of cultural hegemony that provide a basis for the evolution of our contemporary societies. Dealing with videos, photographs, installations, drawings and exhibition projects, Mathieu Kleyebe Abonnenc explores the dominant principles of representation by appropriating existing elements and events relating to the imperial and colonial histories of so-called developed countries. Objects belonging to a collective memory, whose universalist principles have been on trial for over one century. Each of these elements needs to be constantly renegotiated in order to show its relations to contemporary issues of identity, community, and nation construction and to renew with the possibility of reinventing artistic action and policy. Mathieu Kleyebe Abonnenc graduated from the Ecole des Beaux-Arts of Marseille in 2002. He participated in the “La Seine” research program of the Ecole Nationale Supérieure des Beaux-Arts de Paris from 2006 to 2008. In 2013, his work was the subject of two solo exhibitions, Songs for a Mad King at the Basel Kunsthalle in Switzerland, and Kannibalen at Bielefelder-Kunstverein in Germany. In 2012, two institutions, the Serralves Foundation in Porto, Portugal, and Pavilion in Leeds, United Kingdom, organized solo exhibitions of the artist. In 2012 Mathieu Kleyebe Abonnenc also participated in the Paris Triennial, Intense Proximité, at the Palais de Tokyo, and in group exhibitions at the Ricard Foundation in Paris and the ICA (Institute of Contemporary Art) in Philadelphia, United States. Biographies of a few invisible agents Biography of an invisible agent (phlebotomus abonnenci) attempts to establish a shared biography between a scientist and an insect to which the scientist has given his name. For the scientist and his descendants, the insect appears as a parent, certainly not human, but yet quite alive. If the Linnean taxonomy and its use in the description of fauna allows you to name an insect after the scientist who first encountered it, could we not try to apply some of the codes of kinship to try and disrupt and extend the effects of this convention? Could we not imagine this insect, the phlebotomus abonnenci, whose name I share, as a parent, an ancestor, whose presence and unpredictable, shapeless qualities would at the same time be a memory of a located past and the promise of a time in which affinities and families have exceeded irremediably, for better or for worse, all the classification methods inherited from the Enlightenment? So with this proposal of biographies I would like to extend these modes of association between humans and non-humans, orienting them towards objects commonly considered inanimate? I would like to connect these throwback effects in order to try to describe those moments when things we thought we knew return, barely changed but enough to permanently modify the structures intended to preserve, describe them or exhibit them. The biographies will therefore take as objects the tsetse fly, a mosquito parent and its human double and finally a few items now conserved at the Musée du Quai Branly in Paris after having long been conserved at the Musée de l’Homme. Nicolas Vieillescazes is an editor at Les Prairies ordinaires. He translated the works of Fredric Jameson. He was a lecturer at the Sorbonne University in Paris (in 2012). 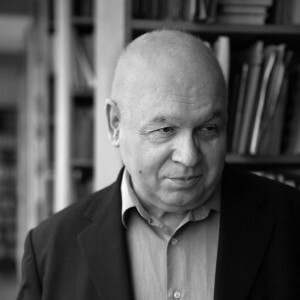 Nicolas Vieillescazes’s intervention will focus on “postmodern” critiques of the concept of totality in the 1970s-1980s (which were essentially critiques of Marxism) and on the powerful defense proposed by Jameson in a series of texts that sought to articulate different theoretical scales within the concept of cognitive cartography. 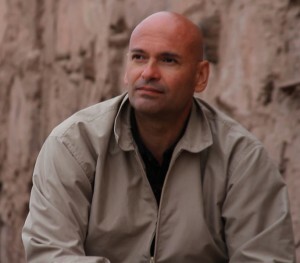 Olivier Hadouchi is a doctor in cinema studies (who worked around the liberation struggles surrounding the OSPAAL). 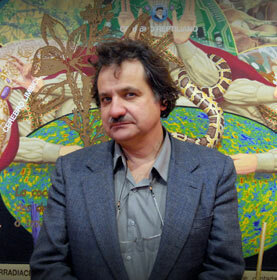 He has published papers in CinémAction, Third Text, Mondes du cinéma, and La Furia Umana. He has programmed film cycles for le BAL, le Bétonsalon, and participated in conferences and round tables in Paris, Algiers, Beirut, Belgrade, Berlin, Béjaïa, Lyon, Nantes, and Lorient. 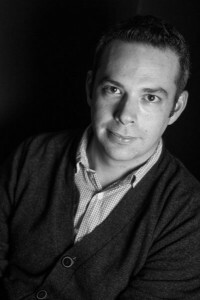 Olivier Marboeuf is an author, critic and independent curator. He has been at the head of the Espace Khiasma since 2004. Random gatherings, alliances, riots – the gaseous institution appears and disappears incessantly. It gives no notice, has no employees and no program. Neither budget nor strategy are ever discussed. Its only place is an intensity, a vitality, a spin. It is always on the verge of collapse, on the verge of exhaustion because its purpose is to empty itself each time completely and unreservedly. It stores nothing. We lose sight of it in authorized circles. Counselors at opening exhibitions announce its ultimate demise, and every time it is reborn in new bodies, in new ephemeral narratives. It leaves behind but a faint trace, it haunts us; that is its program. It is an attempt, a living practice, an inviting power without contours and without size. It takes shape only for a moment, and in that instant it can be seen with dazzling clarity. The gaseous institution has no particular vocation. It finds its rationale in idleness, in its active disappearance. It does not undergo, it acts towards a phantom state. It is a field of particles, a franchise of disappearance, a rhizome, a global and invisible constellation. Olu Oguibe is a professor of Art and African American Studies at University of Connecticut. Pascale Casanova is a researcher and professor of literature at Duke University. 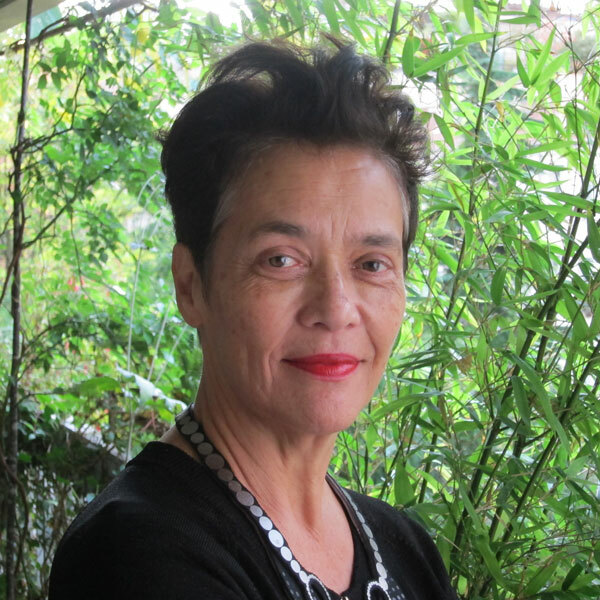 She has published, in addition to numerous articles on world literature, Beckett l’Abstracteur (Seuil 1997); La République mondiale des Lettres (Seuil 1999, Points-Essais 2008), translated in a dozen languages; Kafka en Colère (Seuil, coll. Fiction and co., 2012). Pedro Lasch (Mexico/US) has taught art and art theory at Duke University since 2002. He has also led on-going projects with immigrant communities and 16 Beaver Group in New York since 1999. His solo exhibitions and projects include Open Routines (Queens Museum of Art, 2006), Black Mirror (Nasher Museum of Art, 2008), and Abstract Nationalism (The Phillips Collection, 2014); he has also participated in group exhibitions at MoMA PS1, MASS MoCA, Walker Art Center, (U.S.A.); Royal College of Art, Hayward Gallery, Baltic (U.K.); Centro Nacional de las Artes, MUAC (Mexico); the Gwangju Biennial (South Korea), and Documenta 13 (AND AND AND). The author of two books, his art and writings have also appeared in numerous catalogues and collections, as well as journals like October Magazine, Art Forum, ARTnews, and Rethinking Marxism, and international news media like The New York Times and La Jornada. 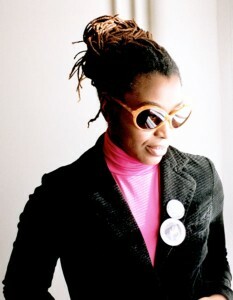 Pascale Obolo is a filmmaker and the chief editor of the Afrikadaa journal. Born in Yaounde, Cameroon, she studied at the Conservatoire Libre du cinéma français in the cinema section and obtained a master’s degree in experimental film at Paris VIII University. Her first films documented the beginning of the Hip Hop movement. 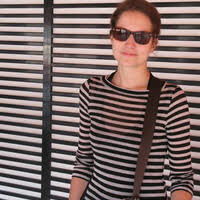 A feminist filmmaker, she has also focused on the place of women in artistic circles. Her films have been shown and received awards at many festivals. Her artistic approach as a filmmaker has often derived from visual and digital arts, deliberately breaking with traditional narrative codes. She is also an activist, and her works question memories, identity, exile, invisibility. Her works were exhibited at the Parc de la Villette, the Musée du Montparnasse, the Musée du Quai Branly, at the Mac Val, and at the de Dakar Biennale. In 2013, her film Calypso Rose, the Lioness of the Jungle won the Silver Yennega prize at the FESPACO. Obolo is the originator of the Afrikadaa Lab, a contemporary art magazine, and an intellectual and artistic laboratory that aims to encourage a dynamics of creativity in the diaspora and African territories. Louisa Babari was born in Moscow, and lives and works in Paris. 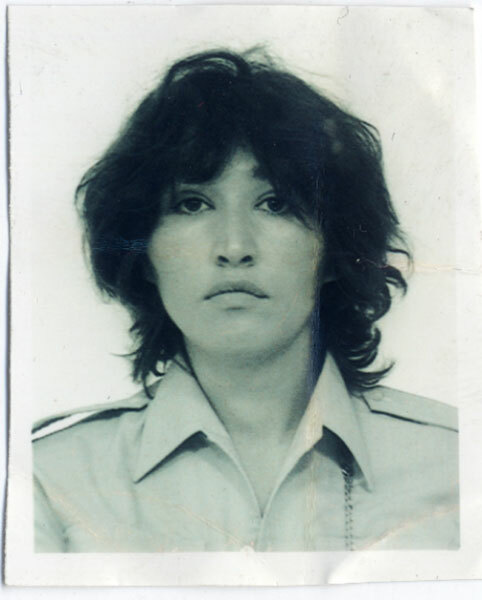 After completing her studies at the Institut d’Etudes Politiques in Paris and a cycle of Contemporary Studies, Russian and Cinema Studies at the “Langues’O” Institute in Paris, she traveled to the former USSR and developed a series of travel logs for the cinema while working in the Fiction department of ARTE under the direction of Pierre Chevalier. 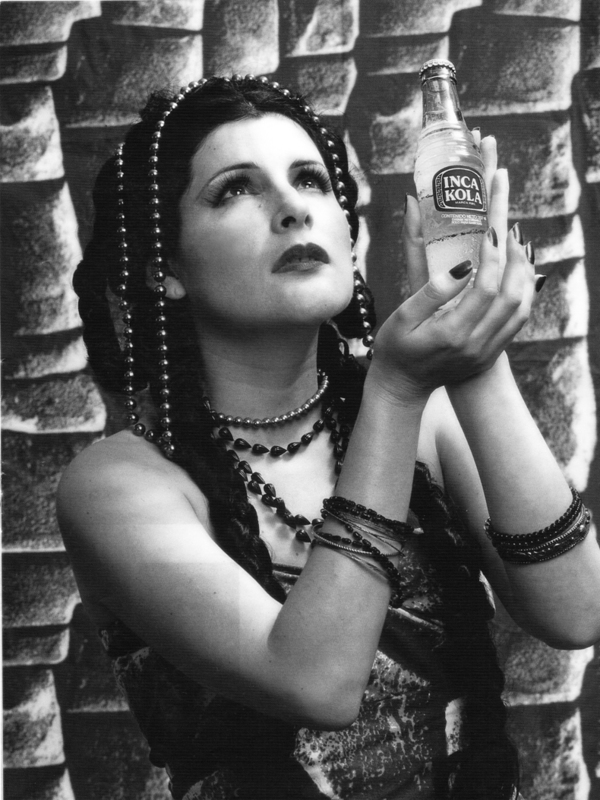 She started her own production company in which she wrote several texts for the cinema and made experimental films. She was also involved in supporting and producing many singular films which were selected at numerous international festivals. In 2009 she created with Eglantine Planchon a research platform on the relationship between the artist, the young audience and the institution in the artistic education of children. She collaborated on a mediation program with the Louis Vuitton Foundation for contemporary art. Her work as an artist led her to design films, sound installations and a collage work which engages with the field of film. Her work has been exhibited in France and abroad and gave rise to a publication in 2013, Aesthetics of the Antrum, by the Madrid publishing house, Cabeza de chorlito. She has contributed to the development of Afrikadaa, the first francophone African interactive magazine dedicated to contemporary art, for which she writes articles and essays and produces events and performances. 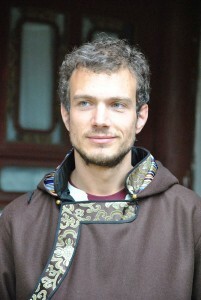 Romain Bertrand joined CERI in 2001 and became senior research fellow in 2008. He graduated from Sciences Po Bordeaux in 1996 and received his PhD degree from Sciences Po in 2000. His dissertation focused on the entry-paths into political careers of the members of Javanese aristocracy in Dutch Indonesia between 1880 and 1930. He sat on editorial boards of the journals Raisons politiques, Critique internationale, Politix and Genèses and is currently a member of the editorial board of Annales. Histoire, sciences sociales, and sits on the peer-review board of Moussons. He was visiting fellow at Universiti Kebangsaan Malaysia and at Nuffield College, Oxford, and visiting professor at the Department of International Relations of Fudan University, Shanghai and at the Department of Sociology of the New School for Social Science Research in New York. More recently, he lectured at Cornell University (Blumenthal Lectures), at the New School in New York (Hans Speier Lectures), and was keynote speaker at the annual congress of the Koninklijk Nederlands Historisch Genootschap. At Sciences Po, he is in charge, together with Stéphane van Damme (Centre of History) of the research seminar L’épreuve des Indes about the circulation and the construction of the historiography of knowledge of “the imperial encounters” in the modern era. Susanna Tores was born in 1969 in Lima, Peru. Originally self-taught, Susana Torres reinforced her training with studies in art history, aesthetics, and cosmetology. Her work explores issues of identity and gender. She has participated in numerous group and solo exhibitions, including the 6th Havana Biennial (1997) and the 1st and 2nd Lima Biennials (1997 and 2000). She was a co-founder of Colectivo Sociedad Civil, one of the organizations most active in denouncing the regime of Alberto Fujimori. She collaborated in the art direction and visual conceptualization of Claudia Llosa’s films_Madeinusa_ (2005) and _La teta asustada_ (2007–8). Tania Bruguera is an interdisciplinary artist working primarily in behavior art, performance, installation and video. She has been a participant in Documenta 11 (Germany) as well as in several biennales such as Venice (Italy), Johannesburg (South Africa), Sao Paolo (Brazil), Shangai (China), Havana (Cuba), and Site Santa Fe (United States.) Her work has also been exhibited at The New Museum of Contemporary Art (United States); The Museum of Contemporary Art of Chicago (United States); in Europe, Asia and South America. She has lectured extensively internationally among others at The New School in New York, The School of the Art Institute in Chicago, The Royal College of Art in London and The Museum of Modern Art in New York. Bruguera was featured in “Fresh Cream” (Ed. Phaidon, England); “Performance Live Art Since 1060’s” (Ed. Thames and Hudson, Ltd., England); “Art Tomorrow” (Ed. Terrail, France); Holy terrors: Latin American women perform (Ed. Duke University, United States); “Corpus Delecti -Performance Art of the Americas” (Ed. Routledge, England); New Art of Cuba (Ed. University of Texas Press, United States.) She received her MFAs from The School of the Art Institute of Chicago (United States) and Instituto Superior de Arte (Cuba). Her BFA is from Escuela de Arte San Alejandro (Havana). She currently lives and works between Chicago and Havana. She is the founder / director of Arte de Conducta, the first performance studies program in Latin America, hosted by Instituto Superior de Arte in Havana and is faculty at The School of the Art Institute of Chicago. Some will deliver a report on the construction of the Great Wall of China, or produce a bumpy, incomplete history of their childhood. But they are beside the point. The point is to report on the museums in our country. They are not made of brick or stone, metal or glass – they appear and disappear around us all the time. We do not enter them to understand right away. We want to stay haunted by what we have seen, we want the meaning to escape us. Let go and lose your grip, only to find grips later on, or perhaps not at all. At least that was the case until those who have never set foot in our country’s museums manifested themselves. Vincent Message is a novelist and essayist. He teaches general and comparative literature as well as creative writing at University Paris 8, Saint-Denis. His novel Les Veilleurs (Seuil), published in 2009, subverts the codes of the detective novel to question the fascination exerted by figures of murderers and madmen. In Romanciers pluralistes (Seuil, 2013), he examines the work of novelists who depict societies torn by conflicts of values. The works of Robert Musil, Carlos Fuentes, Thomas Pynchon, Salman Rushdie and Edouard Glissant occupy the foreground. While developing a pluralistic poetics based on the art of handling multiplicities, the essay highlights the political thinking that structures those novels. If Magiciens de la Terre acted as an event marking the advent of art as a global signifier, and if this exhibition helped precipitate an “ethnographic turn” in artistic practice (and thus helped explicit the primitivism that shaped the long history of modernism), its consequences for the contemporary art space still seem difficult to apprehend, since they produced most of its implicit scripts and tacit background. This intervention will propose to contribute to the collective conversation by directing our attention to how the “Magiciens effect” can be mobilized as a specifically postmodern intensification of a contradiction inscribed in the modern institution of art, with respect to its implicit universalism. We seek to include the “Magiciens Effect” as a symptom in a history that takes into account the historical ontology of the artwork, and thus to claim such a historiography as a way to reformulate and overcome contradictions. Vincent Normand is a writer and curator. His exhibition projects include Sinking Islands (Mexico City: LABOR, 2012), Fun Palace (Paris: Centre Pompidou, 2010) and the triptych The Sirens’ Stage / Le Stade des sirènes / Lo Stato delle sirene (London: David Roberts Art Foundation, Paris: Kadist Foundation; Rome Fondazione Nomas, 2010). 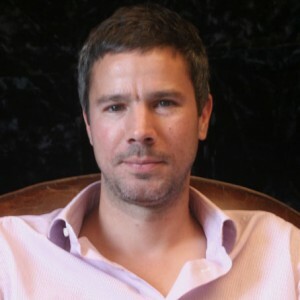 He is the co-author of the film Contre-Histoire de la Séparation (with Etienne Chambaud, 2010). 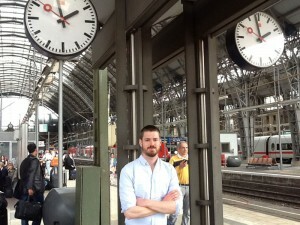 From 2010 to 2012 he co-edited the journal Criticism and co-directed the Forde art center in Geneva. He now co-directs the newspaper and research platform Glass Bead (glass-bead.org), and teaches at the Ecole d’Art Cantonnale de Lausanne (ECAL). His research has been the subject of conferences at the Centre Pompidou (Paris), at the Banff Centre (Banff, Canada), the Artist’s Institute (New York), or at Witte de With (Rotterdam). He is also a member of Synapse – Curators International Network at Haus der Kulturen der Welt, Berlin. His articles have been published in the journals MAY, Witte de With Review, Art Critic and Kaleidoscope. His recent texts include Echiquiers et Ronciers (in Pierre Huyghe, Paris: Centre Pompidou; Cologne: Ludwig Museum; Los Angeles: LACMA, 2013), The Unlimited Realm of the Limit: Objectivity and Schizophrenia (wdwreview.org) and In the Planetarium: the Modern Museum on the Anthropocenic course (in Art in the Anthropocene: Encounters Among Aesthetics, Politics, Environments and Epistemologies, Open Humanities Press, 2015, ed. Heather Davis and Etienne Turpin.). The question of the globalization of art: a metonymy? Since “Les Magiciens de la terre”, the hegemony of the Eurocentric aesthetic canon has been upset by the emergence of other narratives and alternative histories of art. The scope and eventual stakes of the ensuing debates surrounding geoaesthetic models can perhaps only be apprehended if one assumes that the debates replay and metaphorize on an aesthetic level the political conflicts, multifaceted crises and intellectual debates of our time, sparked by the “teleological vision, which defines ‘progress’ [and modernity] exclusively as the reproduction of the Western model of development”. Formulated in this way, the basic problem appears to be that of the relation to historical differences in our globalized world and of their actualization in a geoaesthetic regime. This paper will hypothesize that the search for “fair” geoaesthetic models can be approached as a metonymy –with the part referring to the whole – of a larger body of theoretical and political questions about social transformation and the conditions of living together today. 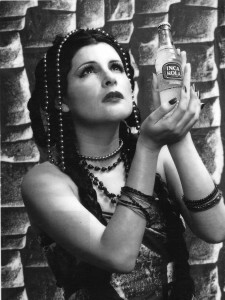 Thus, the reflection on the globalization of art could legitimately draw on experiences of a deepening democratization, through the recognition of minorities’ “right to be different and equal” which, basically, does not reflect assertions of identity and dissimilarity so much as assertions about political and ethical/aesthetic choice and a humanity which is as ordinary as any other. It remains to be seen how this plurality, fairness and “banality” of all ways of being human translates to museum institutions. See Pankaj Mishra, “The Western Model is Broken”, recently published on the Guardian website: http://www.theguardian.com/world/2014/oct/14/-sp-western-model-broken -pankaj-mishra, accessed January 5, 2015. See Pankaj Mishra, “The Western Model is Broken”, recently published on the Guardian website: http://www.theguardian.com/world/2014/oct/14/-sp-western-model-broken -pankaj-mishra, accessed January 5, 2015. Yves Mintoogue was born in Cameroon. He studied history at the University of Yaounde 1, and political science at the University of Paris 1 Panthéon-Sorbonne, where he is a PhD student. 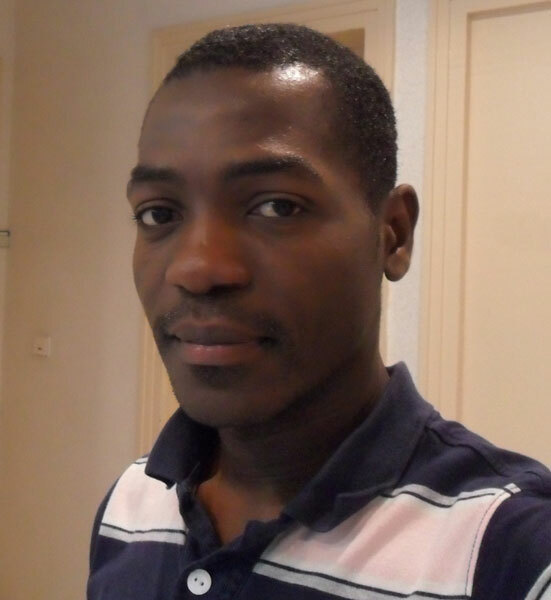 His research focuses on the field of action and the political creativity of the working classes of the Cameroonian society in the colonial era, especially among activists of the Cameroonian nationalist movement. 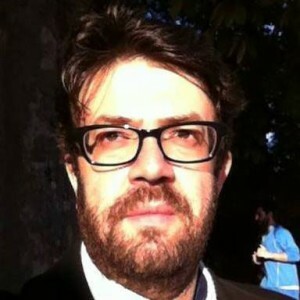 In 2013, Yves Mintoogue won the award “Mondialisation et études culturelles” and was a researcher at the “programme Recherche et Mondialisation” of the Centre Pompidou in Paris. He was granted a doctoral scholarship by the Fondation Martine Aublet (Quai Branly Museum) for the academic year 2013-2014.